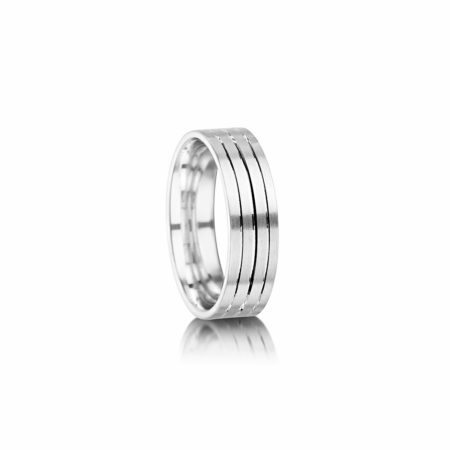 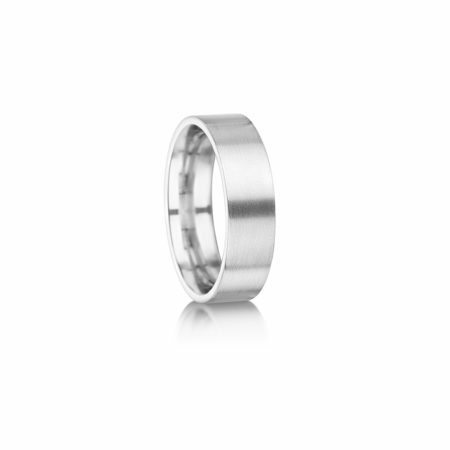 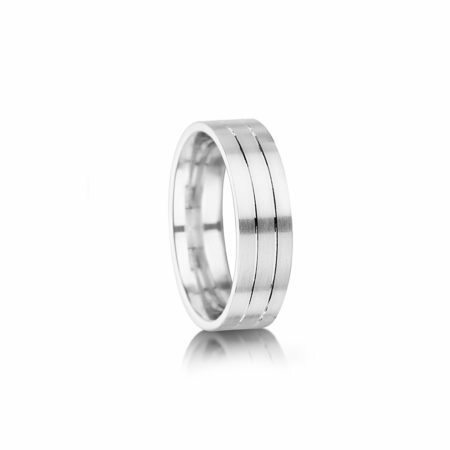 The matte finish on this contemporary men’s wedding ring really lets the two grooves catch the eye. 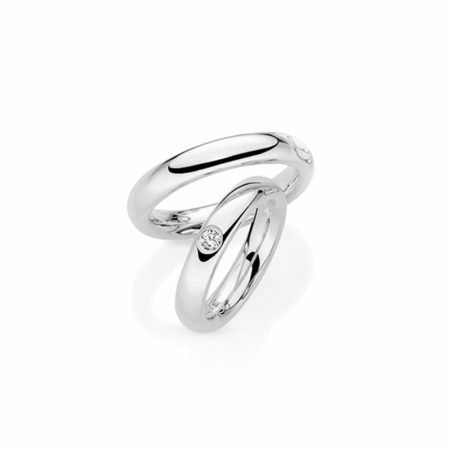 Made to size in our in-house workshop, simplicity says it all! 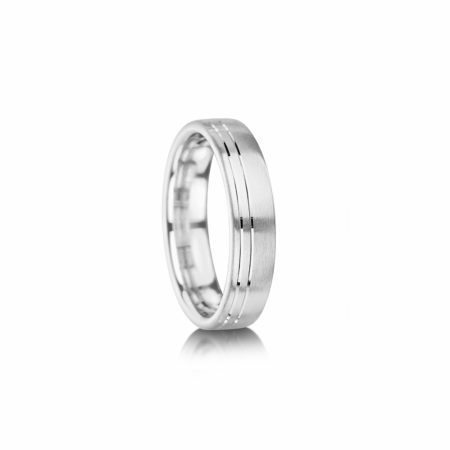 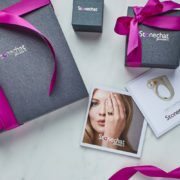 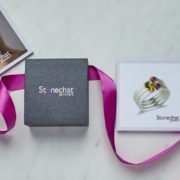 Priced here in platinum, this ring is available in a range of metals.